These two products are at very different pricepoints, but I love them both for varying reasons. Let’s just get to it! See that beautiful bright orange color? That’s the Jane Scrivner OO Cream, $38. This product was introduced to me about a month ago and it’s not common that I fall so fast. The OO Cream (stands for “over oil” cream) is so incredible as my last skincare step- from its beautiful, natural orange color from rosehip to its lovely mild scent of vanilla. Soothing and calming stressed skin (fantastic for eczema and rosacea! ), this cream is intended to be applied over face oil or serum to lock in nutrients and moisture and reduce trans-epidermal water loss. 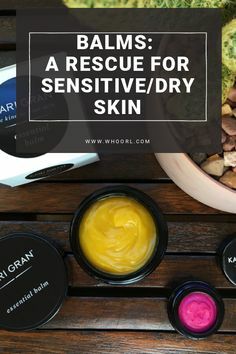 It’s the perfect addition to your winter lineup – where I usually use my beloved Maya Chia Supercritical Oil as my last step, I’ve been putting the OO Cream on top and it’s been fantastic! The great thing about the OO Cream is that it creates a matte finish from the thin film of beta-glucans in the colloidal oatmeal so it’s super rich and soothing yet leaves absolutely no greasy residue on the skin at all. Soaks right in yet my skin feels hydrated all day. 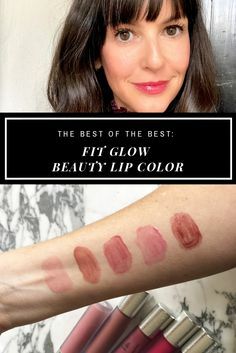 And since it leaves a nice matte finish, it is the perfect primer for makeup application. Plus, um, 38 bucks, you guys! 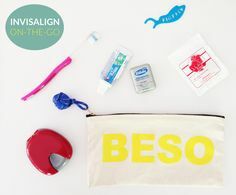 However, I feel I must tell you that the OO Cream is part of the Beauty Heroes Discovery Box this month! 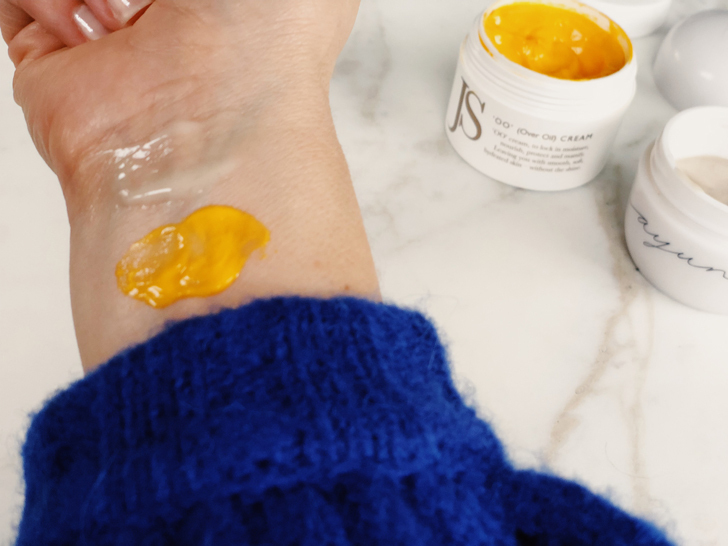 Included with the cream are the Jane Scrivner Cleansing Balm plus two fluffy cleansing mitts to use during your skincare routine. Next up, let’s talk about my long-time love, Ayuna Cream, $198. Ayuna Cream is the milky-colored wonder on the inside of my wrist in that previous photo of the two creams. Where do I even begin with this favorite? First off, this product is a brilliant melding of beauty and science. The emulsion targets a range of skin functions by incorporating the science of Phyto-peptides and Plasmas rich in Botanical Cell Factors, including those of Green Carrot, Arabian Cotton and Pomegranate. Phyto-peptidic Fractions from Turmeric Root and Centella, known as the longevity plant, favorably help the skin to maintain its regenerative abilities. Um, what does that mean for you? 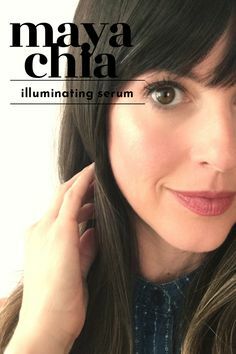 Well, wrinkles are softer, elasticity visibly improves, skin appears more radiant and hydrated, and the formula definitely evens redness and tightens pores. I am obsessed with this cream because it has helped immensely in reducing redness and sensitivity on my face, but especially my chest. Let me tell you, the skin on my chest is my personal problem spot. It looks at least 10 years older than my face (thanks a lot, side-sleeper wrinkles!) and gets incredibly irritated and bumpy for no specific reason. Seriously, I joke that you could look at my decolletage and a rash would pop up, but um, it actually HAPPENS. (What the heck, people!? Drives me bananas.) 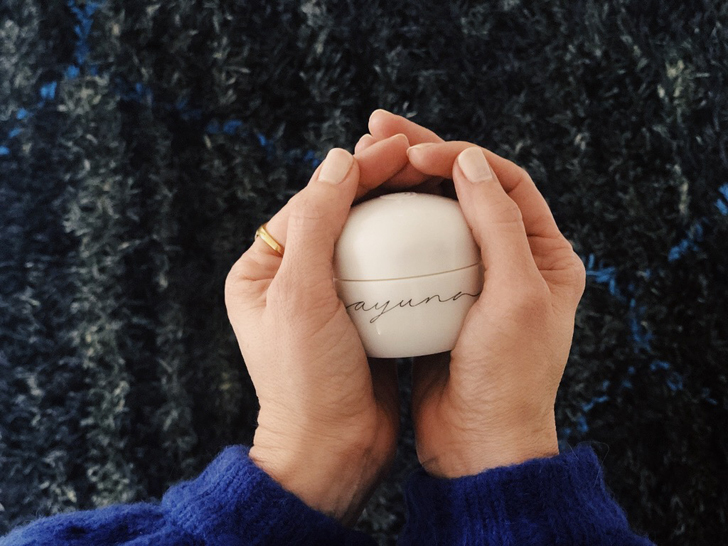 I’ve been using Ayuna as my facial cream for over a year, but a few months ago, I started applying the cream all over my chest after my shower (from neck and shoulders down to just above the breasts) and I can’t even begin to tell you what a difference it has made in calming and smoothing my decolletage. I am a forever convert because of what this cream has done for my chest. PRAISE BE, AYUNA. The Ayuna Cream is considered their light version but is more than enough for my normal skin. However, if you need a richer cream, Ayuna Cream II is for you. 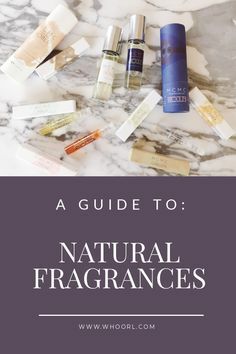 Oh, did I mention how beautiful the scent of these products it? So lovely. Neutral and light, just the way I like it. The Ayuna products do come with a steep price tag, but there is a little deal going on right now where you can get a killer discount. Remember my personally-curated Maya Chia Level Up Discovery last year? 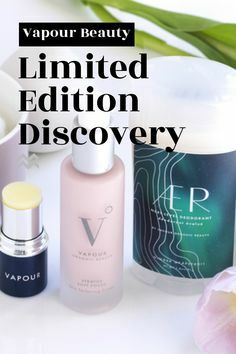 Well, there was another curated discovery involving Ayuna and it’s still available! 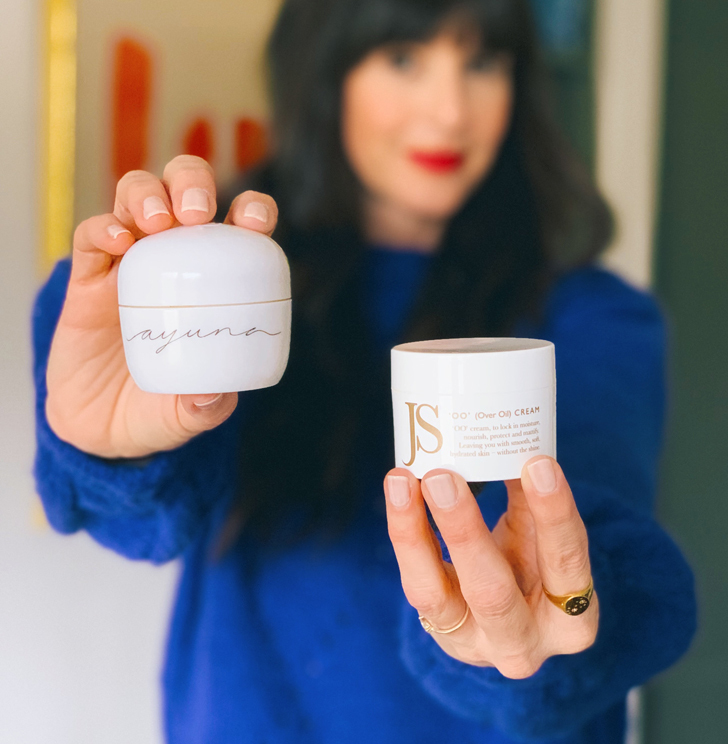 This discovery contains the Ayuna Cream 15ml (the original is 50ml) AND the Ayuna Balm, which is a volcanic revitalizing mask that I also adore. You can get both of these products in the discovery deal for $99. Such a great option if you don’t want to commit to the full-sized cream from the get-go. (Although I have a feeling you will become a convert!) You can find the Ayuna deal in the dropdown box here. There you have it, my two favorite creams in the green beauty market. 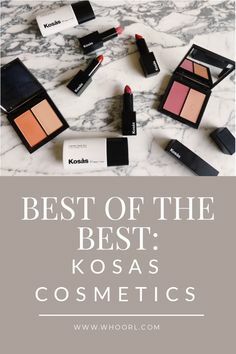 Be sure to check out why Lisa loves them too! Questions about either? As always, hit me up in the comments! I am in LOVE with the Jane Scrivner products in the Beauty Heroes box. My usual sad winter skin has disappeared! They are so great, right?! So glad you are enjoying them. Of the three (OO Cream, Ayuna and Ayuna II), which do you find the most moisturizing? Ayuna Cream II is the richest and most moisturizing. I tried the Auyna Cream and couldn’t stand the smell for some reason. Most skin products I feel like the smell wears off or I don’t notice it after a few minutes, but I felt like I kept waking up and smelling it on me and I couldn’t get used to it, so I gave it to a friend. I just got the OO Cream in the new Beauty Heroes box and I love the smell and the feel and my skin has definitely been drier lately, but I tried it for the first time last night and when I woke up this morning, I had some breakouts. Hard to tell if I just need to give my skin time to adjust or if my skin is just too fussy for it somehow.